The first half-decent guitar I ever owned - which cost me £10 second-hand from a friend in Preston in 1965 - was an archtop (or "f-hole", as we called them then) made in East Germany by luthier Othmar Windisch. 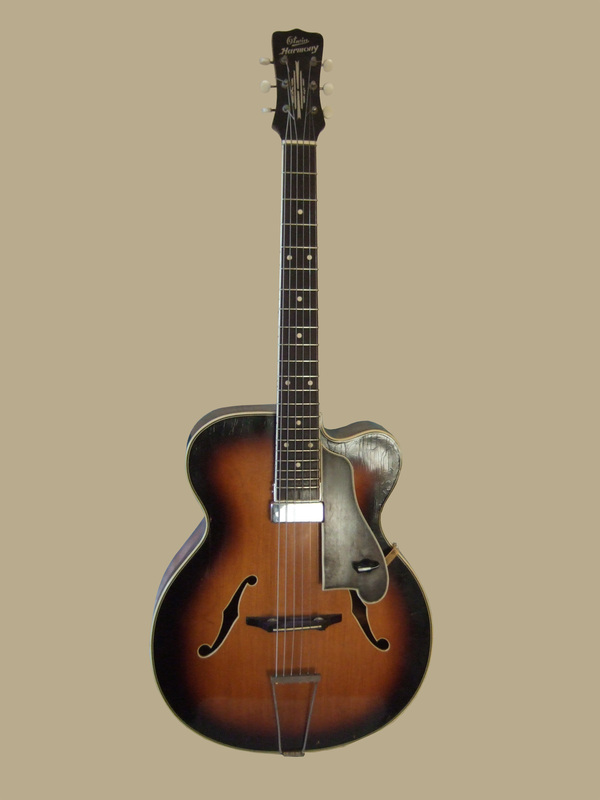 The make was an Otwin, the model "Harmony", and I played it for a year or two before acquiring my old Epiphone Texan. Some years ago, I spotted the selfsame model on eBay and, on impulse, bid for it - and got it. I had it fitted with an ebony floating pickguard from a shop in New Jersey and then a Kent Armstrong floating Slimbucker pickup. It's a rough old beast and not very sophisticated, with a great lump of a neck (no truss rod), but it makes a sweet jazz sound when played through a decent amp and picked nicely. That's the sort of thing you got if you lived in Britain in 1961 because, unless you were rich, lucky or had connections, there was little else! Click the picture to see it large scale in a separate browser window.